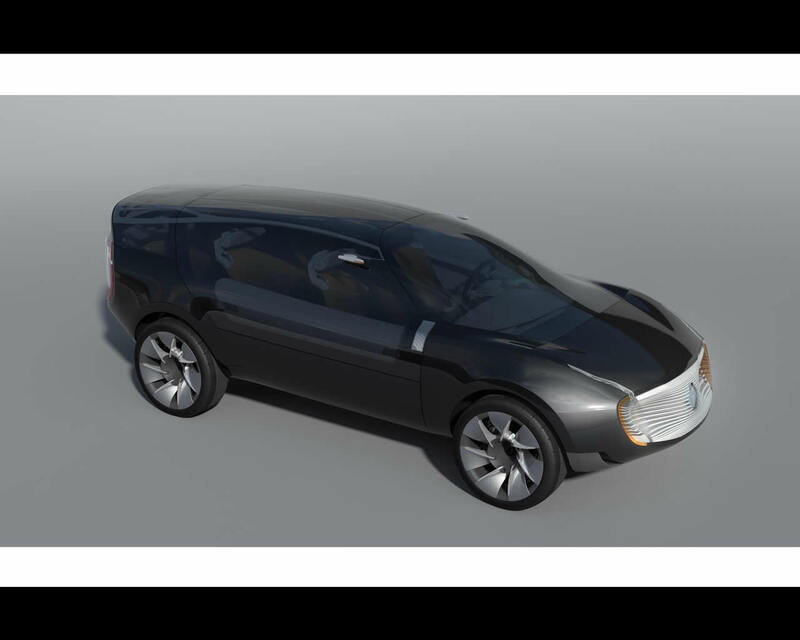 The Renault Ondelios Concept revealed at the 2008 Paris Motor Show is a Renault's top-of-the-range concept car. 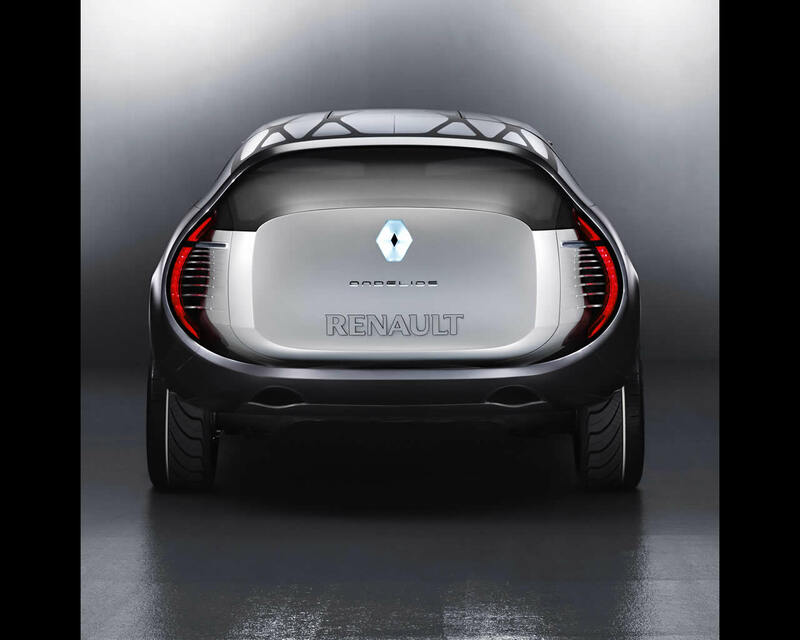 It illustrates Renault's vision of the high-end crossover, combining a confortable ride with respect for the environment. 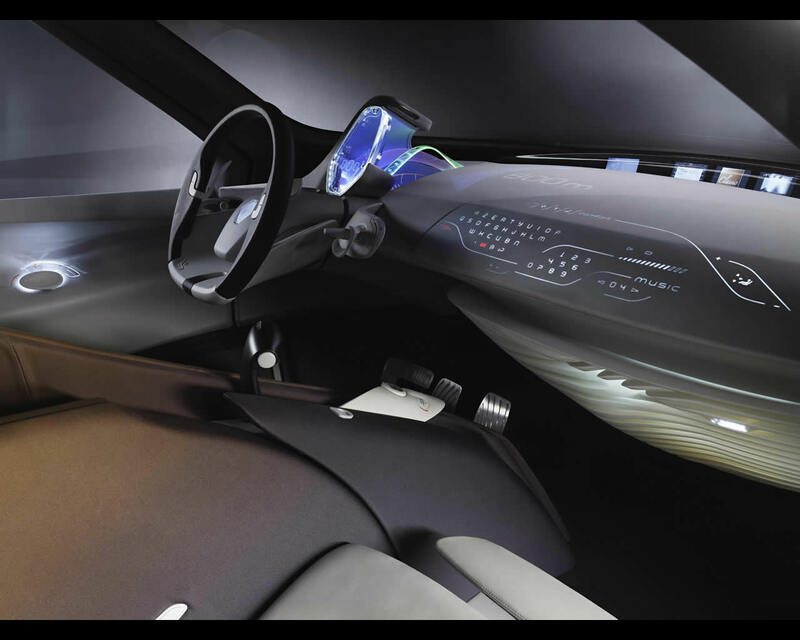 Clear demonstration of that vision are the vehicle's ethereal design, its interior design and an original hybrid powertrain. 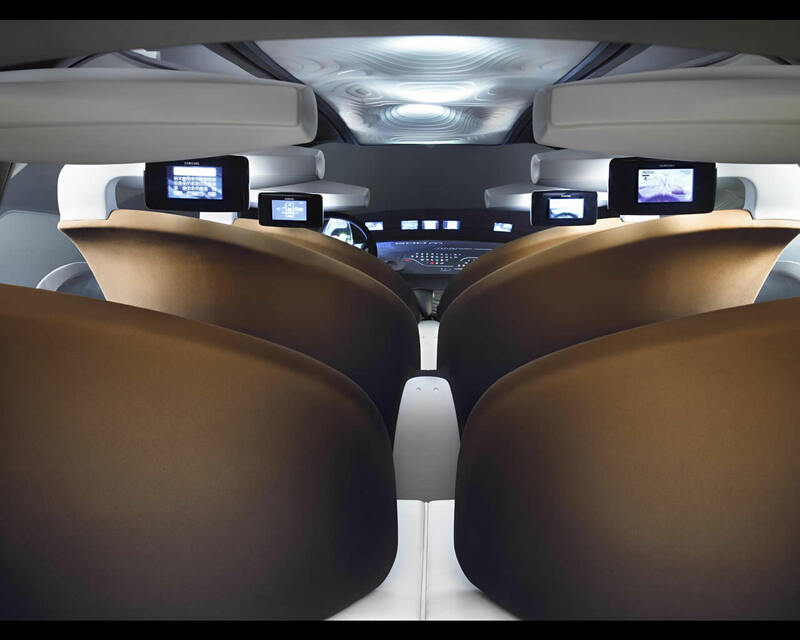 The 4,8 metre long, 1,6 metre high Ondelios has drawn inspiration from the world of aviation design to deliver high drag efficiency and a Cd of just 0,29. This long-distance voyager boasts sleek, smooth, amazingly fluid lines that make it appear as though it glides over the ground. " 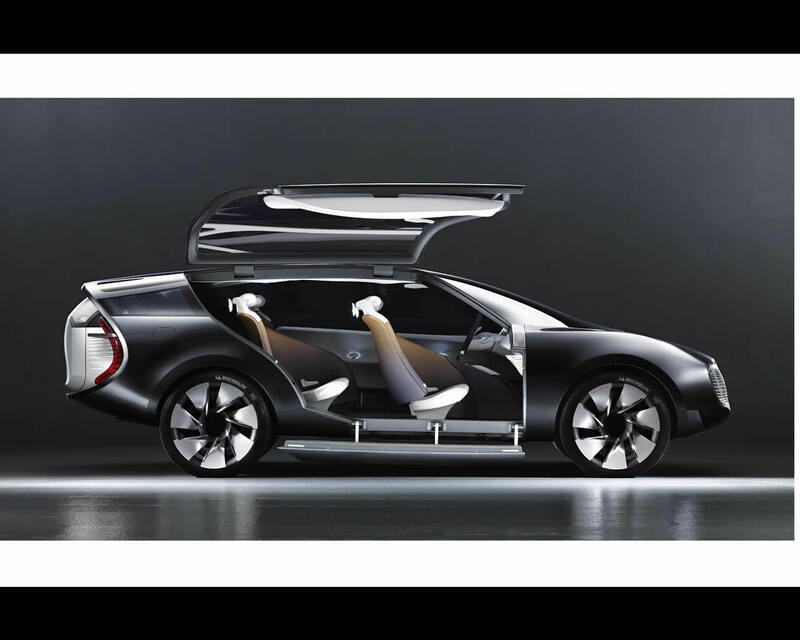 Ondelios is inspired by motion rather than speed and is a whole new response to the call of the open road," enthuses Patrick Le Quément, Renault's Design Director. The aluminium-finish grille is flanked by headlamp units that also suggest flowing motion, while its high-performance LED headlights are both longer lasting and more efficient. Another feature of Ondelios' aerodynamic styling is the boomerang-shaped tail lights. They are built into the bodywork and ringed with air extractors to control the flow of air from the wheel arches. 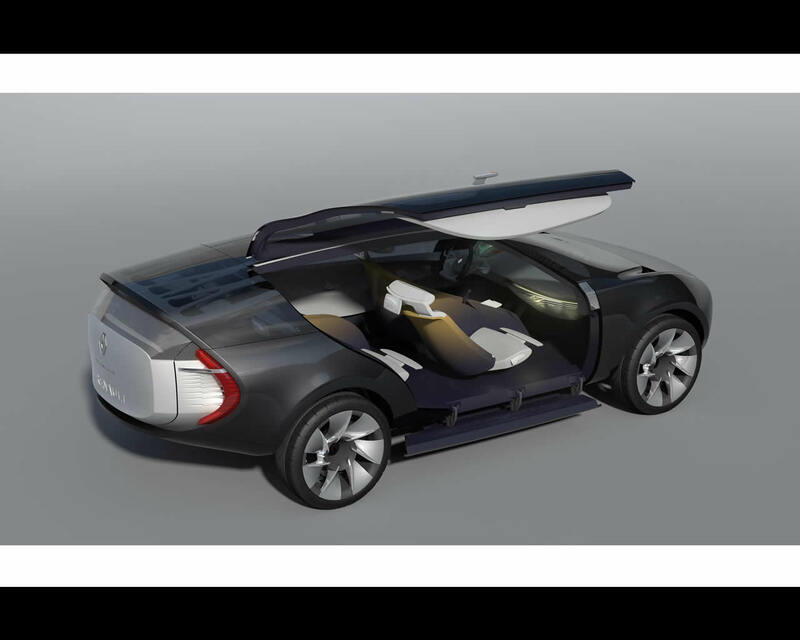 The glazed roof further emphasises the vehicle's airy look and feel, bathing the interior in natural light. The steeply raked windscreen, which extends well down the bonnet, further accentuates this ethereal feel. "We think of it as made from a single material, where the body and glazed areas merge into one. 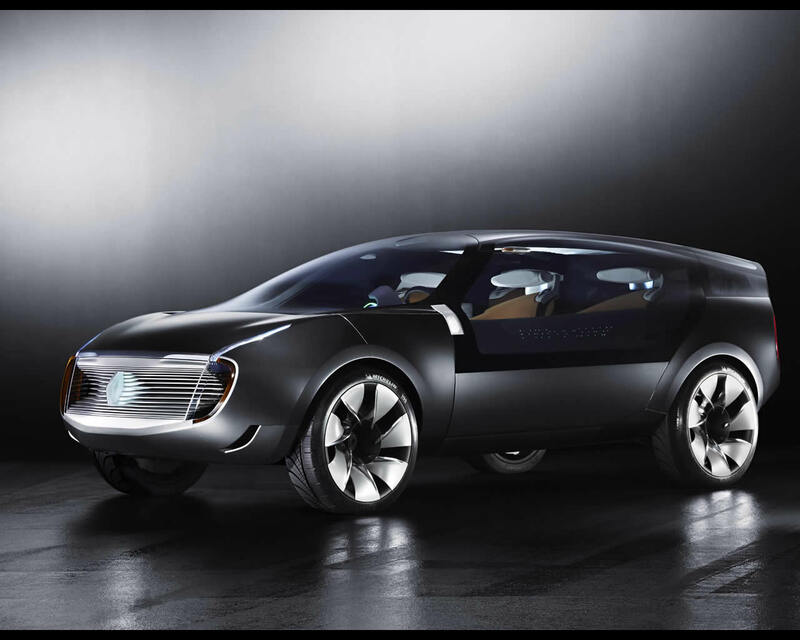 Ondelios is a glimpse of what the automobile might be in the medium term future," adds Patrick Le Quément. The butterfly-type side doors, which also feature extended glazed area, add a further touch of elegance of the car's overall styling. They swing out and upwards as the sills slide down to facilitate ingress. 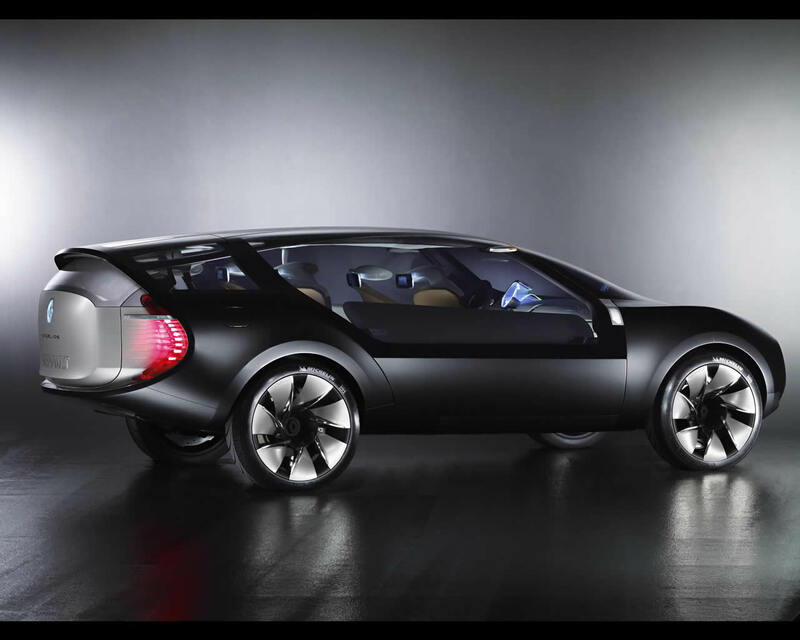 The body is made from carbon and the glazed areas from polycarbonate, keeping with the commitment to make the car as light as possible. 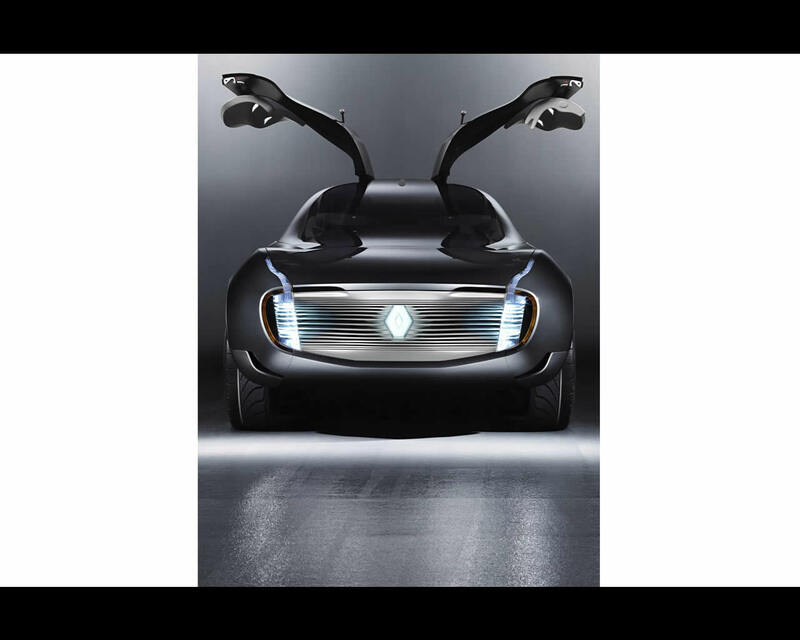 The Renault Ondelios concept is powered by a hybrid powerplant which combines a more powerful 205 hp (150 kW) version of the 2.0 dCi engine, with two 20 kW electric motors at the front and rear. 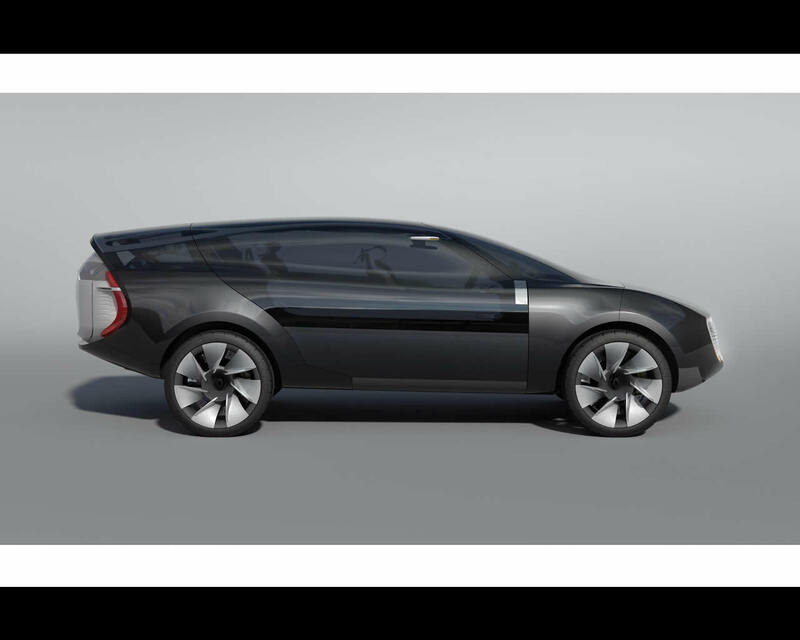 they operate in mild hybrid mode, giving the engine extra boost as required. They use a brake and boost system, recovering energy during braking then delivering it to the engine to boost acceleration. the front motor also uses fuel-saving stop-start technology. the electric motor mounted on the rear axle drives the rear wheels when the ESP sensors detect a loss of traction, thus giving Ondelios the capability of a four wheel drive vehicle. 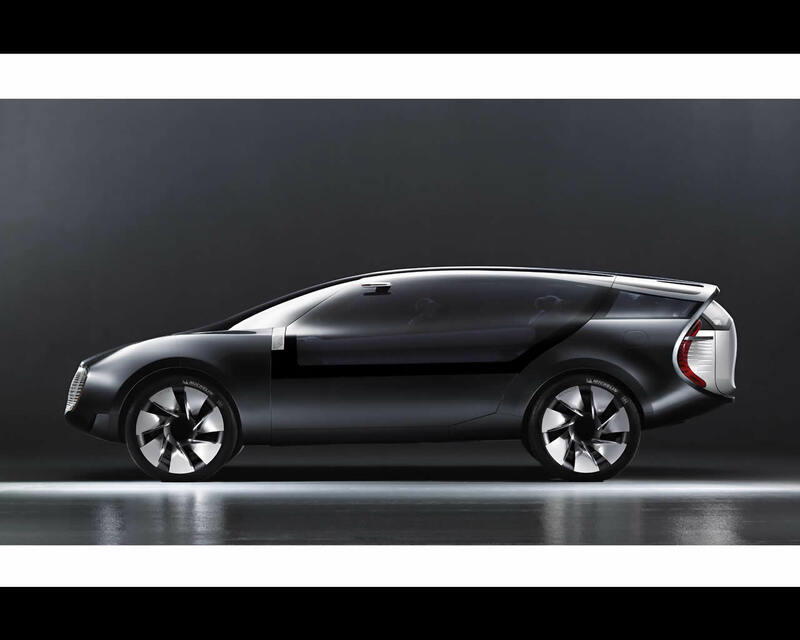 The car is equipped with a lithium-ion battery that can deliver power up to 4 kW/h. With torque of 450 Nm between 1.700 and 3.800 rpm, the diesel engine provides comfort and flexibility at all engine speeds for long distance driving. 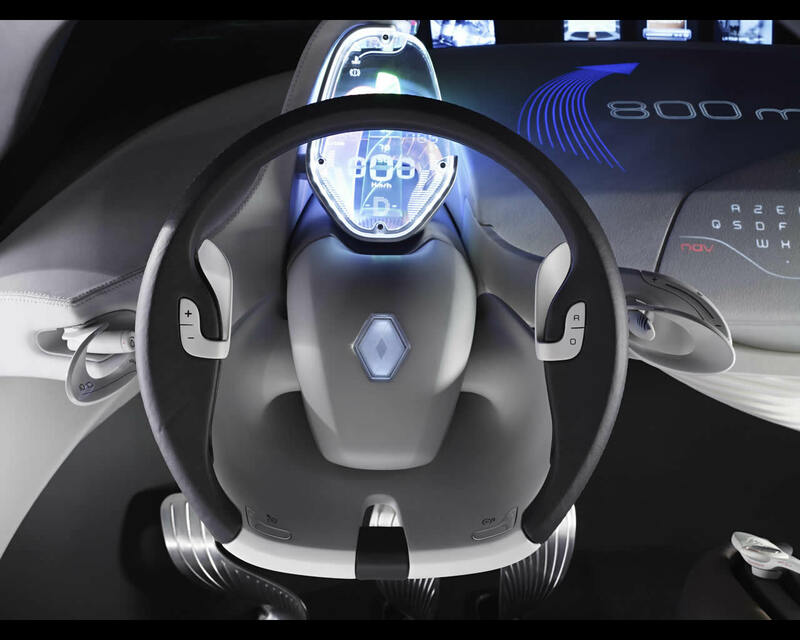 The 2.0 dCi unit takes Ondelios from a standing start to 100 kph in just 7,8 seconds. Driving through a seven-speed, double-clutch gearbox, it allows outstanding driving condition while keeping fuel consumption at 4.5 litres/ 100 km and CO2 emissions at a lowly 120 g/km. Dimensions: length 4805 mm, width 1998 mm, height 1605 mm, wheelbase 2895 mm, unladen weight 1452 kg.